Whenever I’m in Athens, GA or Laura is in Chicago we try to record something together. Last time it was loops for the Orange Twin Records‘ Handy Jam app, before that it was clarinet tracks for Tired Ghostly Town. 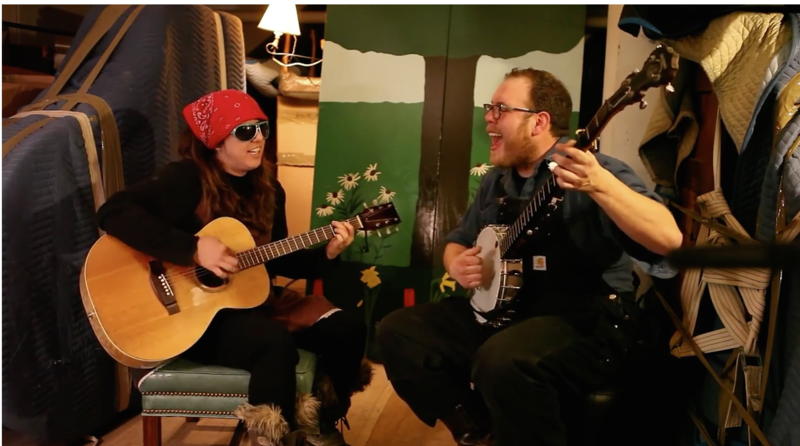 This time we snuck away before sound check on Neutral Milk Hotel / Elf Power tour in Chicago and recorded a Carter Family song. Check info on Laura Carter here.